Looking to brighten up a dark corner? Or add the perfect centerpiece to your next barbecue? 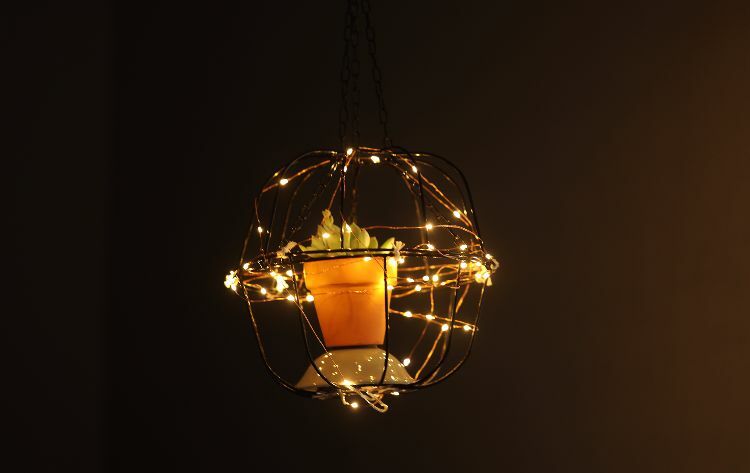 Well, look no further than this planter chandelier. 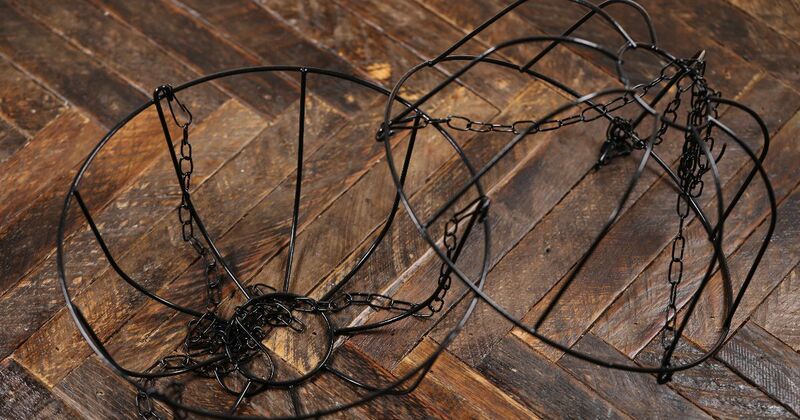 The fairy lights give it a rustic feel while the wire frame adds a bit of an industrial flare. Plus, you can put your favorite plant or create a little bouquet to stick inside. This DIY can be done in less than a half hour, and it looks so great your guests are going to wonder where you picked it up. Ready to get started? Check out our quick and fun video tutorial here, then refer back to the list so you can get all your supplies. Take your two fruit baskets and with one facing up and the other down, tie them together. You don't need anything fancy here, just some simple butchers string will work. 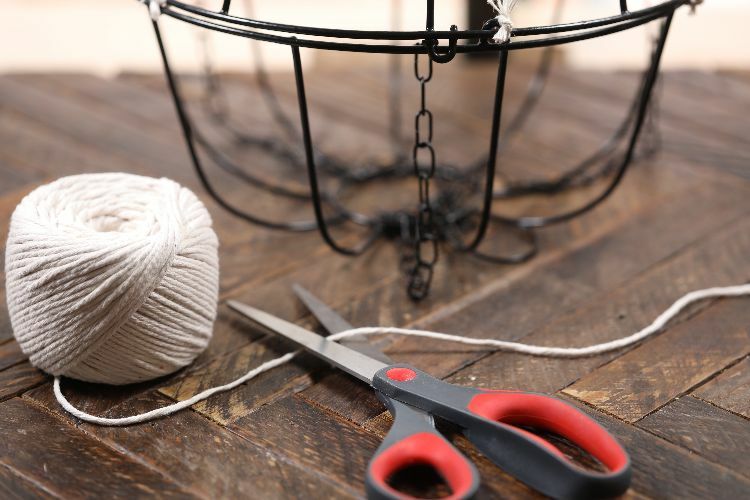 Grab the scissors and use them to snip off any excess string so it looks nice and clean. 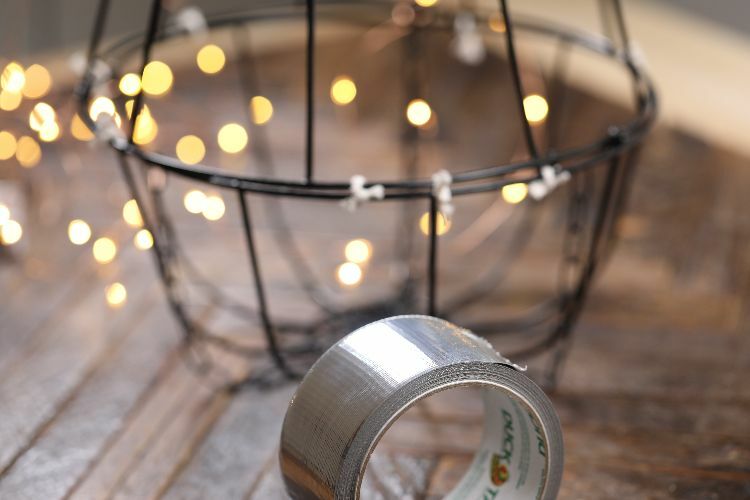 Grab your favorite fairy lights -- we love the ones with a golden light that are on copper or silver string -- and start weaving them around the baskets. Be sure to tape the battery operated part to the center of the bottom basket. Tape it securely, but enough where you can also get in and put in new batteries when you need to. Now that the chandelier is finished you just need to put on the final touches. 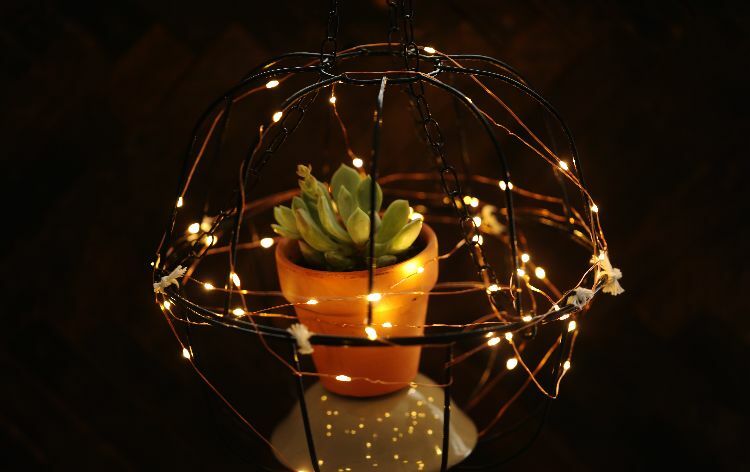 Cover up the battery chamber of the lights with a pretty little bowl that you have lying around the house. This also acts as a little booster that elevates your planter higher up. Now all you need to do is find the perfect spot to hang your gorgeous craft! Don't forget to share this DIY with your friends on Facebook, Twitter and Pinterest!